The bestselling classic on disruptive innovation, by a renowned author, Clayton M. Christensen. His work is cited by the world’s best-known thought leaders, from Steve Jobs to Malcolm Gladwell. 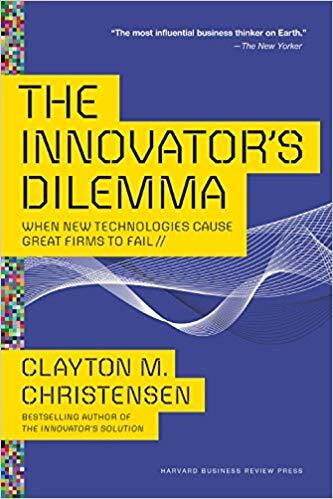 In this classic bestseller – one of the most influential business books of all time – innovation expert Clayton Christensen shows how even the most outstanding companies can do everything right – yet still lose market leadership. Offering both successes and failures from leading companies as a guide, “The Innovator’s Dilemma” gives you a set of rules for capitalising on the phenomenon of disruptive innovation. Sharp, cogent, and provocative – and consistently noted as one of the most valuable business ideas of all time – “The Innovator’s Dilemma” is the book no manager, leader, or entrepreneur should be without.